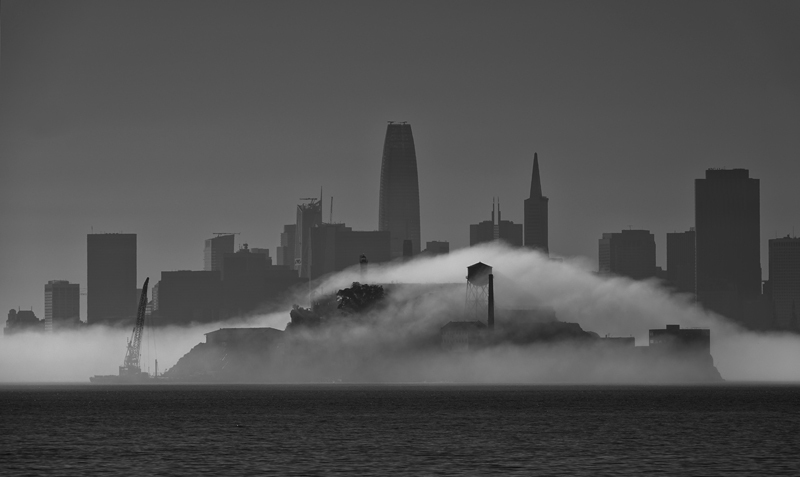 Fog casts a ghostly shroud over Alcatraz Island, San Francisco, California. I feel this image is a good candidate for a monochrome conversion. Quite moody- perhaps a little spooky-well done-the fog has nice tones in it against the darks. Superb image Tony. I would for sure convert it to B&W or even with Sepia toning. Whoa, this is really cool. My only suggestionis to brighten the photo a bit. My thoughts too. Just a touch brighter. Thank you, Cynthia. I'm pleased with the results! Thanks for looking and commenting, Ludo! Thanks for looking, commenting, and for your suggestion, E.J. Thanks for commenting and for your suggestion, Carol.